Notes: East Leake Station was built to the standard country station design with an island platform accessed from a covered stairway with an entrance below the road bridge. 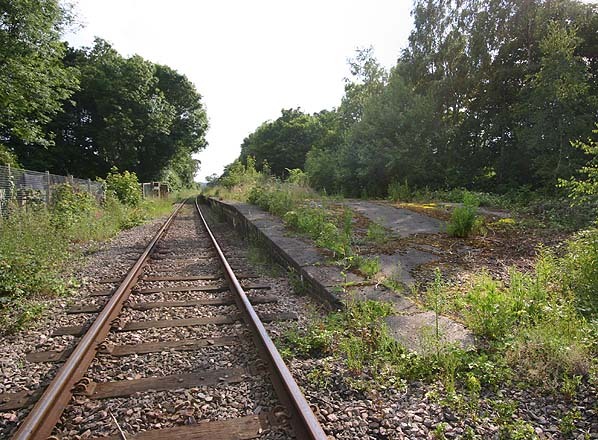 there was a small goods yard to the north of the station on the up side of the line. 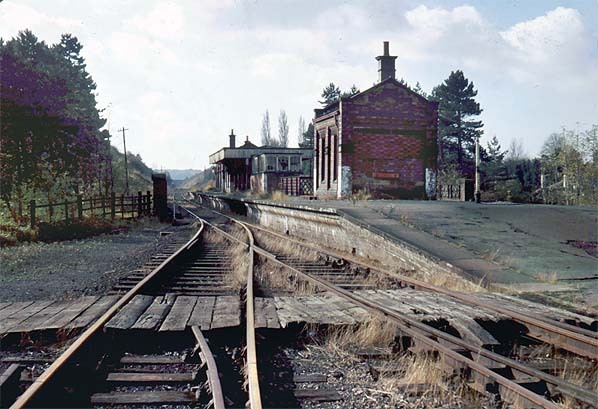 A protected railway control centre was also built in the goods yard for use during the second world war, it was retained for possible cold war use. 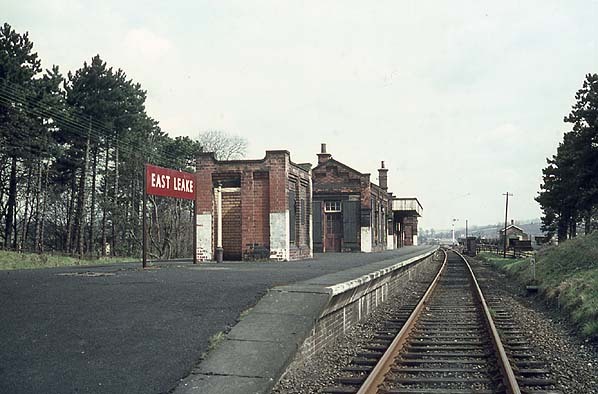 When the local stations on the London Extension closed in 1963 East Leake remained open and stayed open until final closure of the line on 5th May 1969 although the station was unstaffed after 5th September 1966. 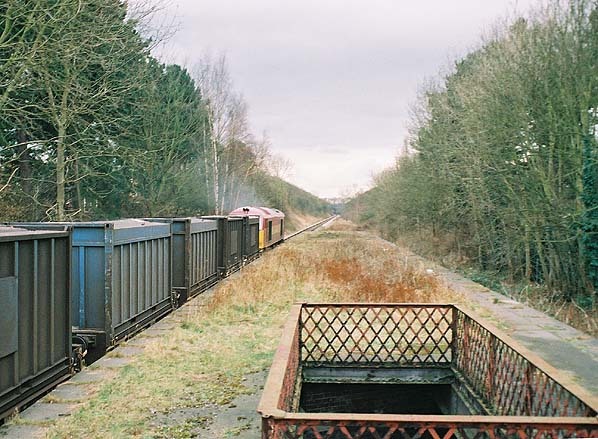 The goods service was withdrawn on 4th March 1968 although a private siding remained in use for some time after that date. platform. As this entrance opens directly onto a road with nowhere local to build a car park there are currently no plans to re-open the station although it is a long term aim of the society to re-open the station for pedestrians only. 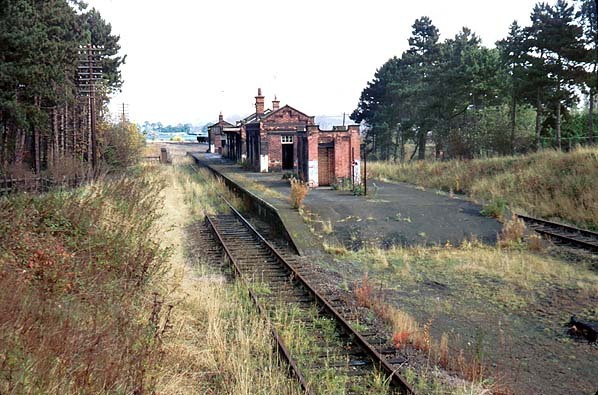 Too see other stations on the Great Central Railway between Sheffield Victoria and Aylesbury click on the station name: Aylesbury, Waddesdon, Quainton Road (1st site), Quainton Road (2nd site)**, Calvert, Finmere, Helmdon, Culworth, Woodford Halse, Charwelton, Braunston & Willoughby, Rugby Central, Lutterworth, Ashby Magna, Whetstone, Leicester Central, Leicester North***, Belgrave & Birstall, Rothley**, Swithland****, Quorn & Woodhouse**, Loughborough Central**, Rushcliffe Halt**, Ruddington, Ruddington Factory Halt, Arkwright Street, Nottingham Victoria, Carrington, New Basford, Bulwell Common, Bulwell Hall Halt, Hucknall Central, Annesley South Junction Halt, Hollinwell & Annesley, Kirkby Bentinck, Tibshelf Town, Pilsley, Heath, Staveley Central, Renishaw Central, Killamarsh Central, Beighton (1st site), Beighton (2nd site), Woodhouse Junction, Woodhouse*, Darnall*, Sheffield Victoria & Sheffield Bridgehouses. 1921 OS map. The island platform is seen running across Station Road. 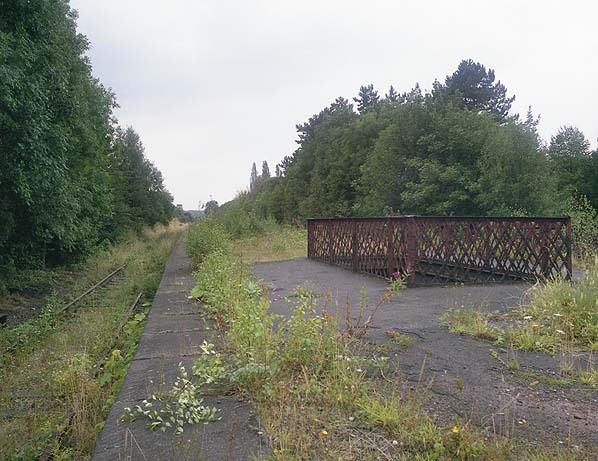 To the north of Station Road there was a goods yard with three sidings. 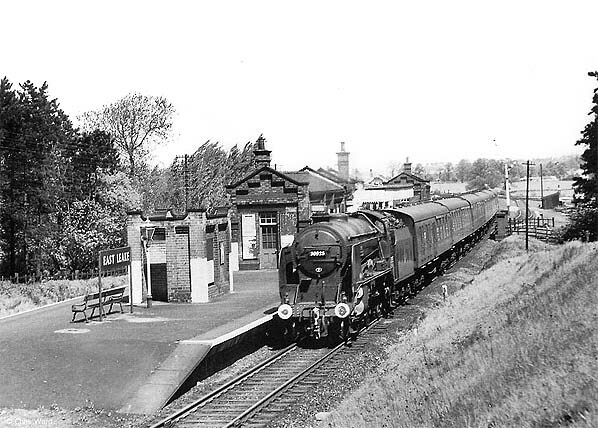 East Leake station looking north in 1972. The building closest to the camera is the gents' toilet. 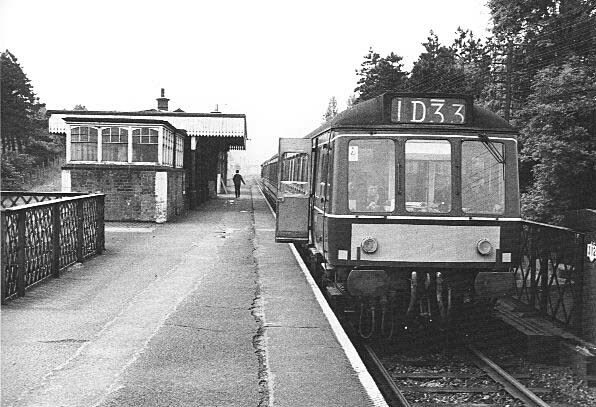 East Leake station looking south in 1972. 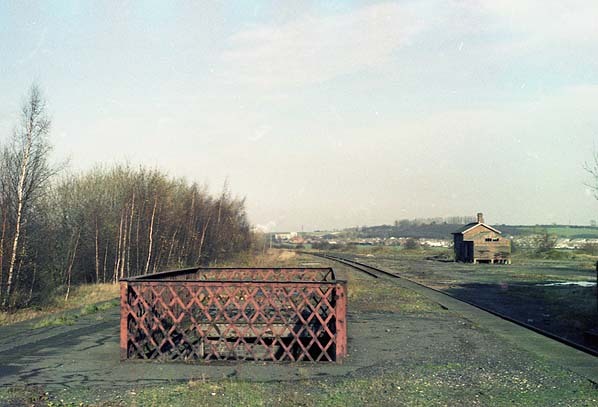 Looking north from East Leake Station in November 1984, the goods shed can be seen on the right.